Many OB/Gyn conditions/problems can be successfully treated with acupuncture and Traditional Chinese Medicine (TCM). A few examples are: Premenstrual Syndrome (PMS), menstrual irregularities including painful periods (Dysmenorrhea), heavy periods (Menorrhagia), or even the absence of a period flow (Amenorrhea) in women of reproductive age and who are not on any form of birth control. A common condition noted in Clinic is period pain, or menstrual cramping. The 2 types that present are Primary dysmenorrhea and Secondary dysmenorrhea in which case the Primary type involve the conditions mentioned above and are mainly due to the absence of any underlying medical cause. Secondary dysmenorrhea is characterized by the presence of uterine fibroids or endometriosis. 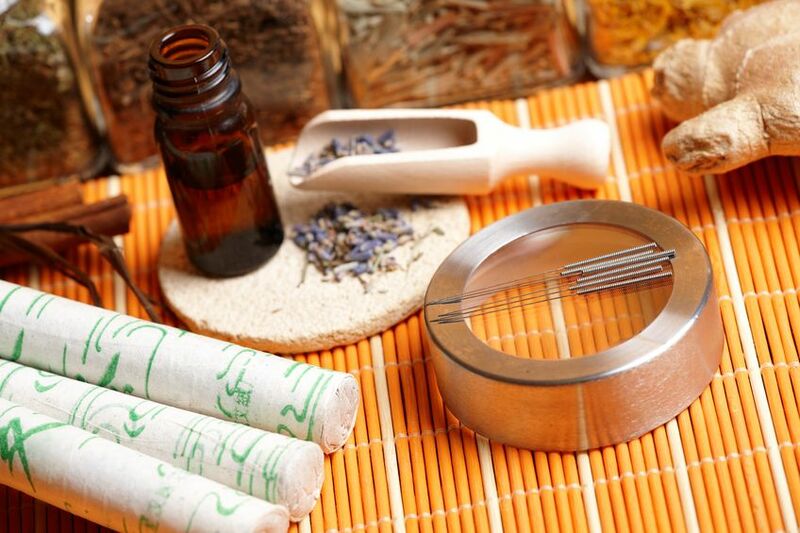 Infertility as well as peri-menopausal syndromes, both are also common conditions for which acupuncture and Chinese herbal medicine therapy can be very beneficial. When combined together the outcome objective is to regulate a woman’s natural hormonal production and fluctuation. This is key to restoring and supporting natural gynecological and reproductive function by way of a regulated menstrual cycle averaging 28 days in length. Symptomatic relief and long-term healing can help women live balanced and empowered lives. Endometriosis– a condition where the uterine tissue is found and implanted outside of the uterus and instead takes up residence on the neighboring anatomical structure of the pelvic floor, namely, the fallopian tubes, ovaries or within the abdominal cavity. This inevitably causes extremely painful, as well as heavier than normal period flow. Uterine fibroids – benign (non-cancerous) tissue growth that may be found along the uterine wall causing pain or discomfort during menstruation. Pelvic Inflammatory disease – or PID, is a type of sexually transmitted disease where bacteria invade the uterus, fallopian tubes, ovaries and other pelvic structures which, if not treated early on (primarily with antibiotics) may cause lower abdominal pain and discomfort as well as heavy period flow. According to the perspective of Traditional Chinese Medicine (TCM), menstrual pain or period pain can be the result of an underlying root cause involving stagnation of Qi or blood in the meridians as well as deficiency of blood in the meridians causing the period pain. In some women, hormonal fluctuations that signal the arrival of the period can be extreme which can then result in amplified uterine contractions that promote the shedding of endometrial tissue and blood. In a randomized controlled trial of 74 women, more than half of those who received acupuncture reported a 50% decrease in their menstrual cramps and associated symptoms during a 3 month treatment course (3 menstrual cycles). For women with menstrual cramps that were resistant to the effects of pain medication or oral contraceptives, acupuncture was found to substantially reduce pain and medication required as well (1). The outcome objective using acupuncture and TCM is to help regulate blood flow in the lower abdomen by breaking up stagnation and regulating hormonal flux, increase microcirculation to the uterine muscle and ultimately reduce painful period cramping. Although the main symptom may be period pain, acupuncture focuses on the underlying root cause and reset the body’s energetic flow, eventually preventing period pain from returning. Acupuncture can help relieve the discomfort and pain associated with menstrual cycle irregularities. Period pain can diminish even during the initial treatment if you are experiencing pain at that time. A typical treatment course may involve frequent treatments closer together or a minimum of at least 3 menstrual cycle lengths (one treatment per week for 12 weeks) to correct the underlying energetic imbalance and achieve long term, lasting pain relief. Consistent acupuncture treatment can additionally improve a woman’s quality of life through the different stages compared to other conventional treatments such as OTC medications/ prescription BCPs or NSAIDS when used alone.